It’s probable that lumping SFA in with the fanaticism of Britpop would have induced more than collective chagrin from the band and those close to them. For all the disparate musical elements that feature in this full length debut, and indeed, subsequent recordings, it’s nigh on impossible to generically pin the Cardiff five piece to any particular style or faction, and in hindsight, that’s probably the reason for the lazy denigration and association to a cultural identity the band would furiously refuse to aspire to. SFA are and will always be resolutely Welsh. Their music was the flamboyant delinquent cousin of Gaz Coombs’ Supergrass, casually pulling together a multitude of influences that included 70s glam rock, 60s psychedelia, with keyboardist Cian Ciárán applying Techno/Krautrock blips, beeps and other worldly noises. Having originally released singles via a small independent label (Ankst), the band were spotted by Creation Records boss Alan McGee, who immediately signed them, insisting that they record a long player in English. 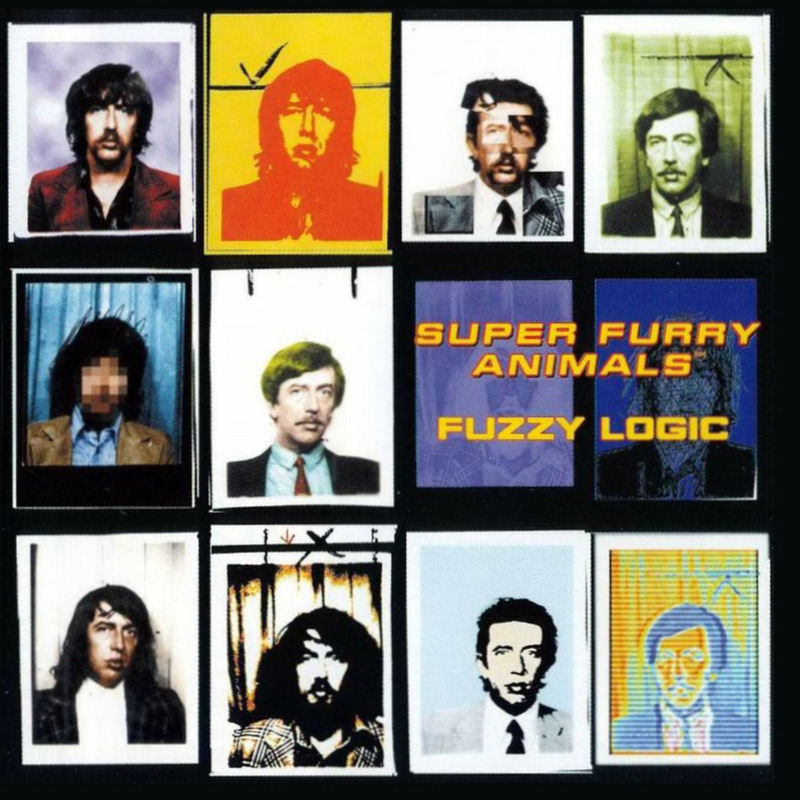 “Fuzzy Logic” contains euphoric sing-along psych/pop, acid tinged experimentalism and in Gruff Rhys’ vocals, a breviloquent cultural foray into anything from Stavros the pet hamster, to comedian Bill Hicks and international drug smuggler Howard Marks (whose mug shots appear on the cover). Although occasionally short on quality melodies (particularly in the latter half of the record), the collection is endearing in its unhinged invention, infectious in its effortless mood swings. From the charged excitement of the punk/pop opener “God! Show Me Magic” the chameleonic intent spreads to their ridiculously melodic “Something 4 The Weekend”, to the swirling pastoral beauty of “Hometown Unicorn” and “Gathering Moss”. 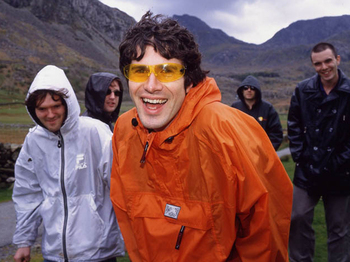 The band’s intriguing personality shines on the classic pop of “If You Don’t Want Me To Destroy You”, with a poignant string arrangement aiding Rhys’ nonsense gravitational lyric. “Fuzzy Logic” bubbles with shocking, teasing, and delightfully madcap ideas from its opening electrical surge to its cacophonous fade out. Ridiculously melodic is a ridiculously apt way to describe something for the weekend!